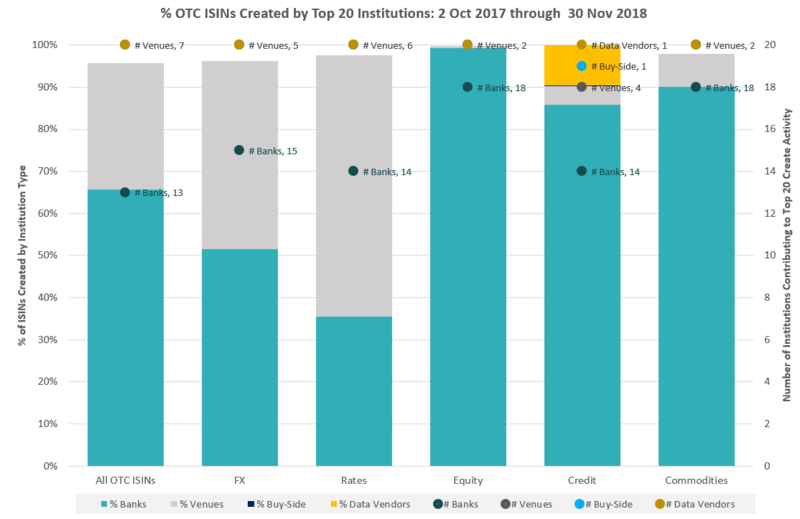 Create Trends – follow the trend of the past year, in terms of new ISINs created and the institutions driving primary OTC ISIN creation activity. 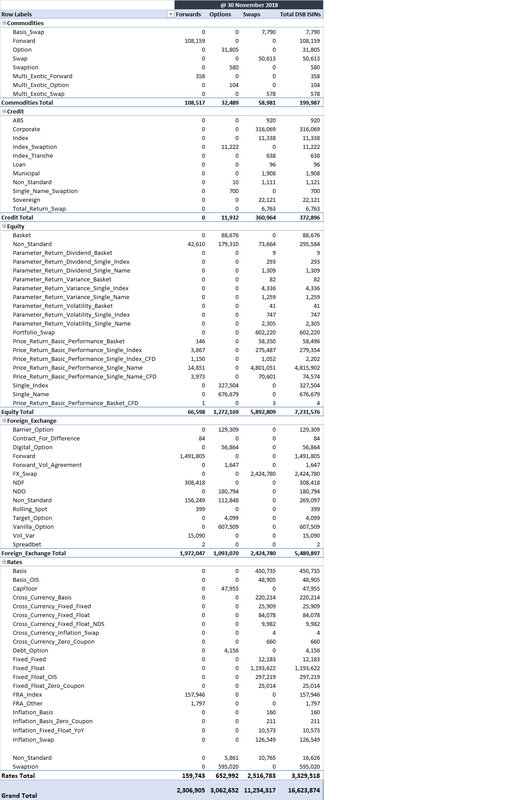 OTC ISIN composition by asset class and instrument is set out below. 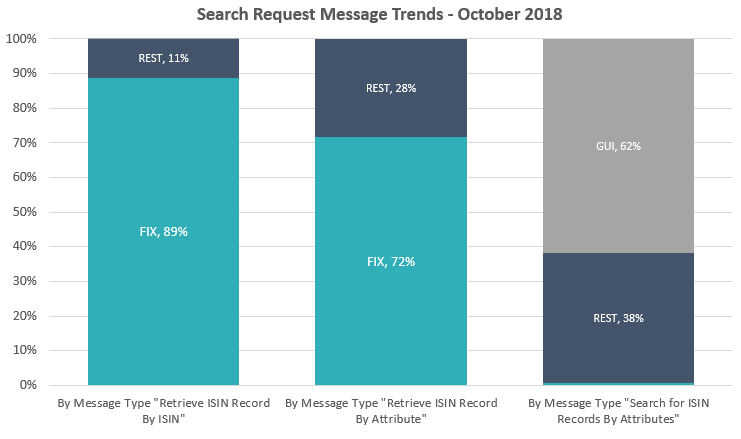 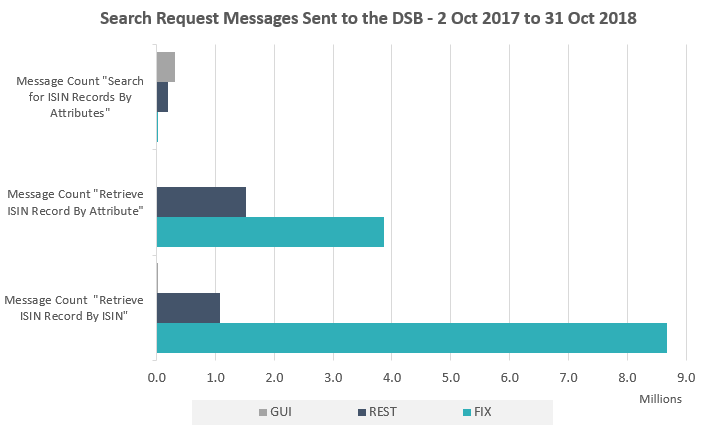 Search Trends – again, the previous year’s trends persist, with no real surprises as users largely achieve steady state in terms of their OTC ISIN data retrieval models.